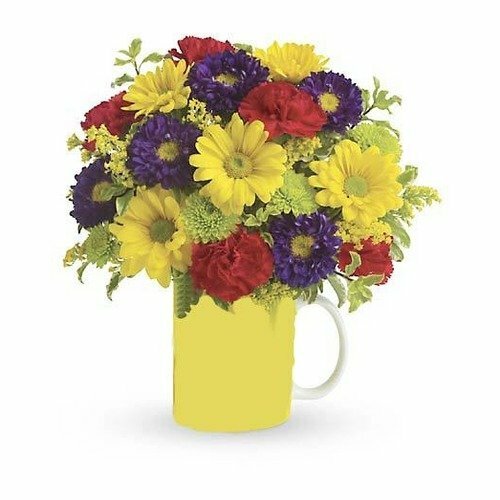 Fun meets functional in this cheerful birthday mug elivered to a friend or colleague. It's sure to inspire some smiles and maybe bring out a few party hats. Delightful when delivered full of flowers, it will be appreciated with coffee or cocoa for years to come.